Henry Debenedetti must have been in his early 80s when I met him in the 1970s in the Half Moon Bay libraryâ his voice in the lower registers, reminding me that faraway Italy was tucked away in his soul– he told me that we were standing in a former apricot orchard and that the fruit had been packed on the very spot where we were talking in hushed tones. Henry would know these things. 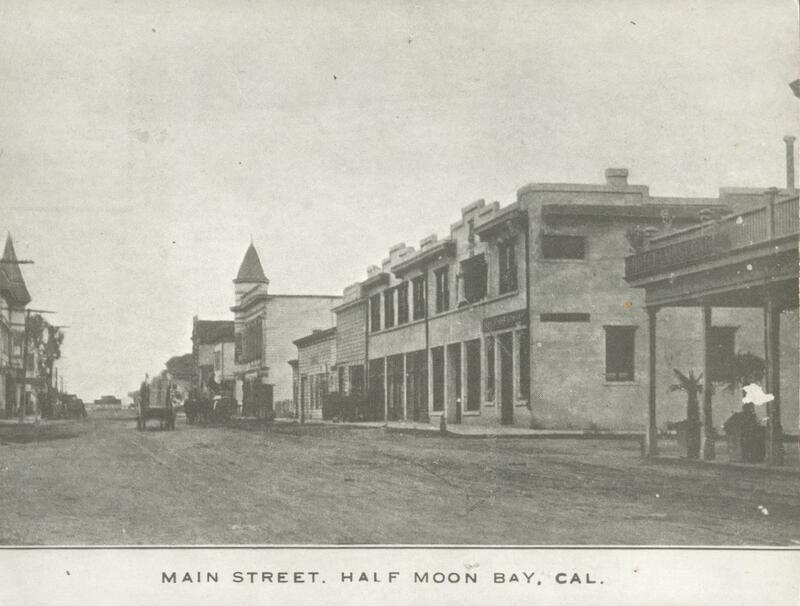 He was born in Half Moon Bay, as was his gregarious sister, Irene who wed Judge Manuel Bettencourt, and their father, Joseph, was a respected member of the community, a businessman, a county supervisor, and the developer of the Main and Kelly Street corner building Cunhaâs Country Store now occupies. That was in 1901âand it was such a momentous addition to the rustic country village– that Sunset Magazine sent a photographer to take a picture of the new building. The Debendetti family owned much of the block stretching from Cunhaâs north to the building on the opposite corner, across from the San Benito House. Itâs easily identified today because itâs marked as the âDebenedetti Blockâ?. From the second floor balcony, the Debenedettis dressed in their finest, stood and watched the spectacle of the 4th of July parades– and horse racing that took place when Main Street was just a dirt road. 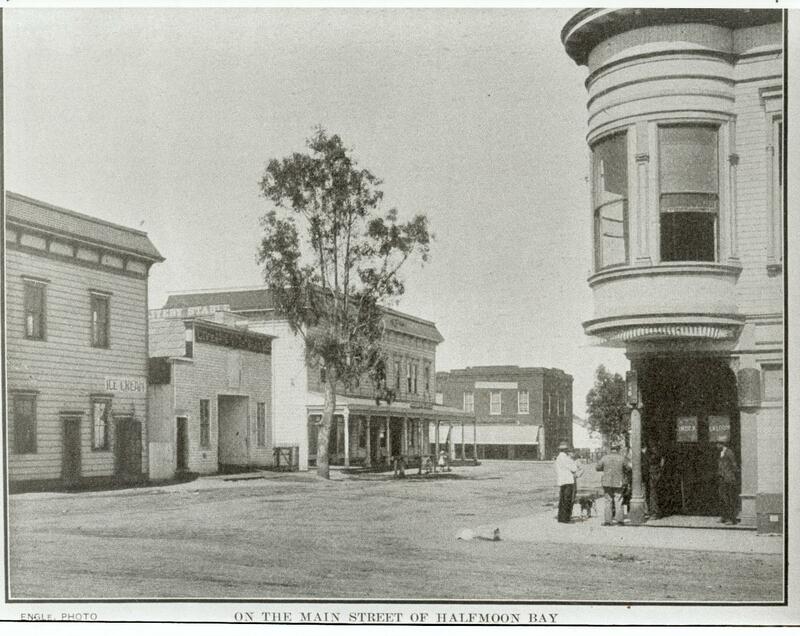 Henryâs love of horse racing led to the lifelong habit of driving his old car, the color of dull green, to Bay Meadows Race Track in San Mateo where he spent most of the day. In the 1970s it was easy to identify Henryâs car because there wasnât much traffic moving up and down Main Street. I quickly became aware of him, wearing his rumpled clothes and brown hat. One time I was at Bay Meadows and so was he, and we cordially exchanged greetings. When I met Henry, he still lived by himself in the old Debendetti Building, on the second floor. I recall walking up the dark staircase to the upper floor where he showed me his books and many albums filled with fading family photos. (Photo at left: “The Hen” lived on the second floor of the “Debenedetti Block” building, in the foreground). His biggest regret was that dreams of a college education were crushed when he fell ill with tuberculosis and was shipped off to a special hospital to recover. He was away from Half Moon Bay for a long time and when he returned things were never the same for âthe Henâ?. Almost every night Henry Debenedetti went to the library to read and to remember where the sweet apricot orchard once stood. Previous PostPrevious In 1962 you could…..